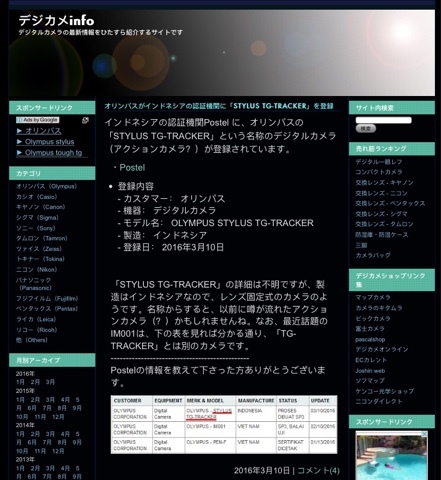 Digicameinfo spotted an Olympus camera that will be announced in the future called the Stylus TG-Tracker. Based on the timing of previous similar leaks, Mirrorlessrumors speculates that the TG-Tracker will be released in one or two months. The question is, what kind of camera will it be?